Older adults (those aged 72+ in 2017) have lower stress levels than baby boomers, Gen Xers, and Millennials. However, the Stress in America survey indicates that between 2016 and 2017, stress levels increased for seniors more than they did for other groups. If the economy is the biggest source of stress for two out of every five millennials, older adults are most likely to be stressed about the state of the nation. Stress, when chronic, has negative physical and mental health effects for individuals of all generations, but it can be particularly taxing for those who are already facing a higher risk of many diseases. What causes stress in seniors? In addition to worrying about the political state of America, seniors often face an uphill battle as they begin to lose cherished friends and family owing to death. Statistics also indicate that the divorce rate among those 65 or over (so-called ‘grey divorce’) has tripled. Big transitions and a sense of isolation can exacerbate the stress caused by issues such as chronic illness, limited mobility, and a low income. Breaking up in older age can be particularly hard because many couples spend all their lives thinking they will ‘age together’. Coping with stress is very different when we are older. For one, our heart fitness and lung capacity are reduced over the years, especially if we do not lead active lifestyles. When we are already battling chronic disease, added worries can worsen our symptoms and affect our immune system, opening the door to further issues. As noted by academics at Harvard, sleep is just one habit that changes as we age. Many seniors find it harder to get a good night’s sleep, an issue which is exacerbated by stress. Sleep enables us not only to rest but also to rid the body of excess stress hormones. Failing to rest well can result in cognitive decline in the long term. When human beings of all ages face chronic stress, their health suffers and they can begin to develop conditions such as anxiety and/or depression. However, in seniors, the effects of stress can be more pronounced in terms of mental health. There is some evidence that it can contribute to the development of Alzheimer’s disease and dementia. 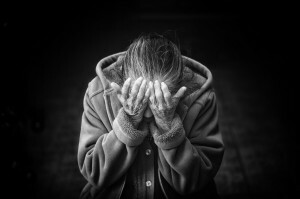 Stress is also closely linked to depression, which is particularly dangerous in the elderly since the suicide rate of seniors is higher than in younger adults. Tried-and-tested methods to fight stress include building a wide social circle. Seniors should aim to form part of their community, so they have a supportive group to rely on when times are tough. Physical activity is also key both to better sleep and to fight off obesity and related conditions such as heart disease and diabetes. Finally, seniors should consider holistic activities such as yoga, which can be adapted to any level and which have been shown to significantly lower cortisol levels. In addition to building a strong support network, exercising and eating healthily, seniors should consider getting professional help if they find that they are constantly stressed. Biofeedback, meditation, and cognitive behavioral therapy are just a few ways to stop stress in its track and lead a more vital, happy, and peaceful life. ← What are happy hormones?